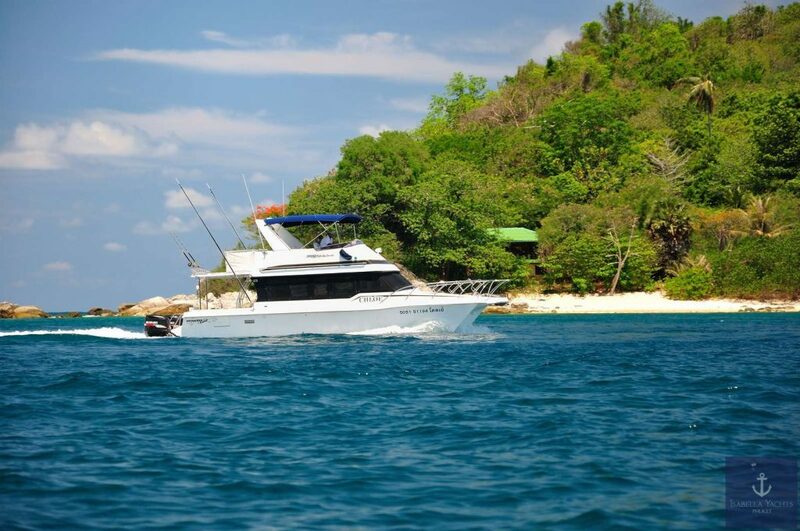 This power catamaran is ideal for those who love the stability, but want the speed and comfort of a motor yacht. 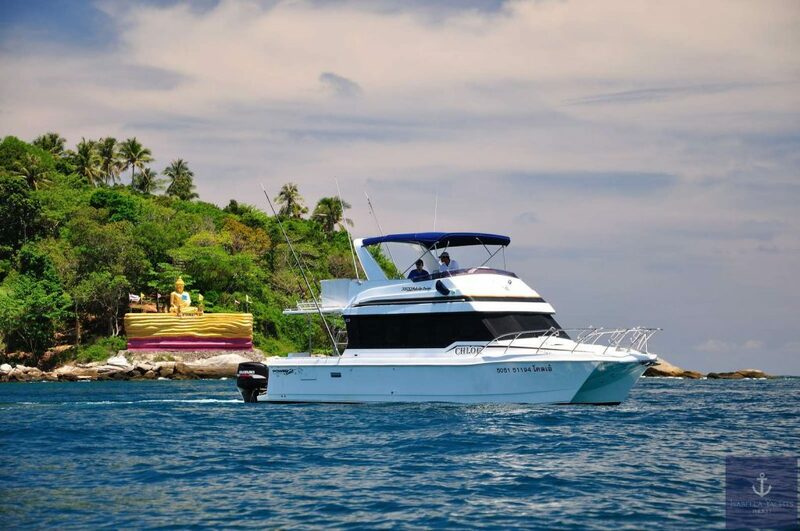 With the same characteristics of a catamaran, such as the twin hulls and large lounging areas and cabins, the increasingly popular power catamaran incorporates all of these features and more with the speed of a motor yacht. 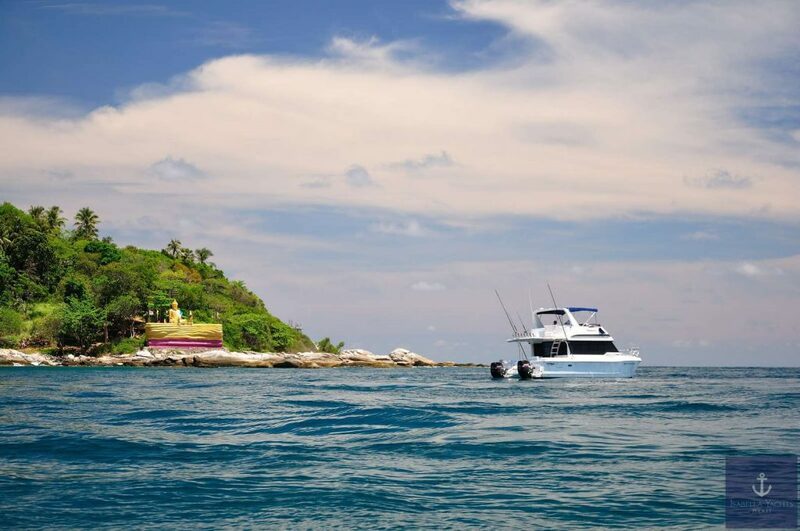 The dual hulls displace far less water than a regular monohull yacht. 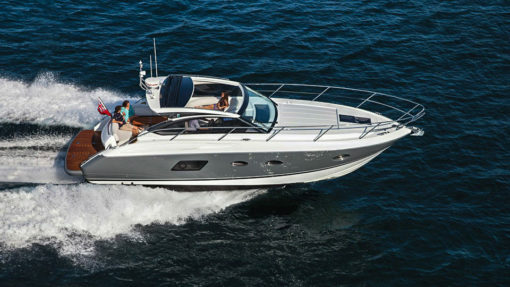 That also balances the boat a lot more on the water, so there is far less rocking action. 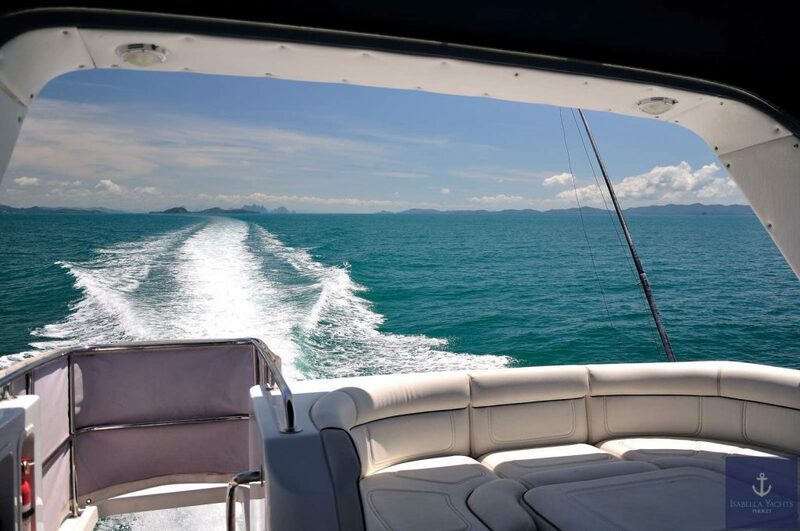 This reduces seasickness and makes it more pleasant being on the water. 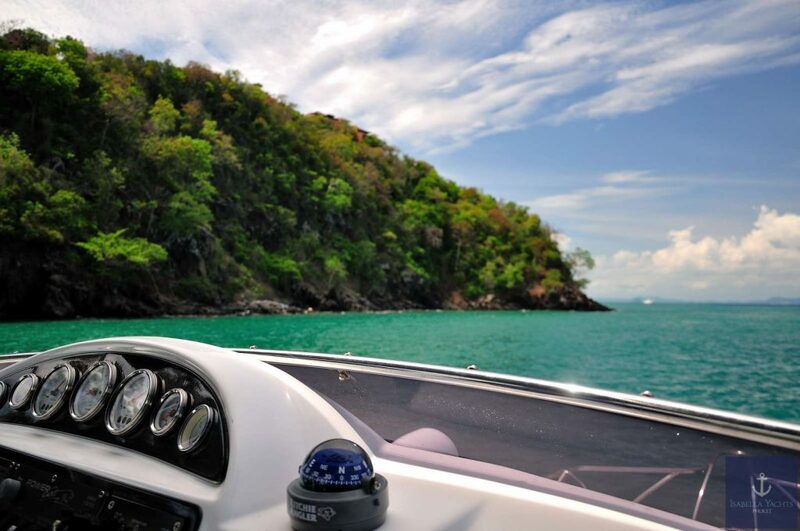 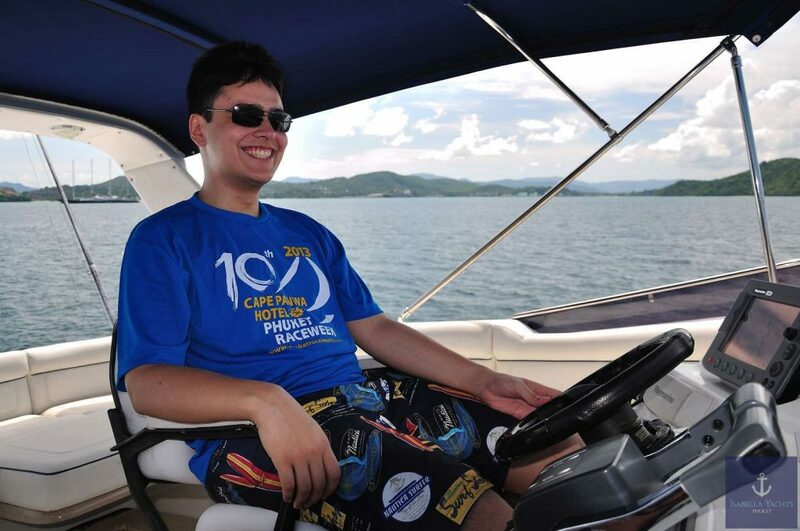 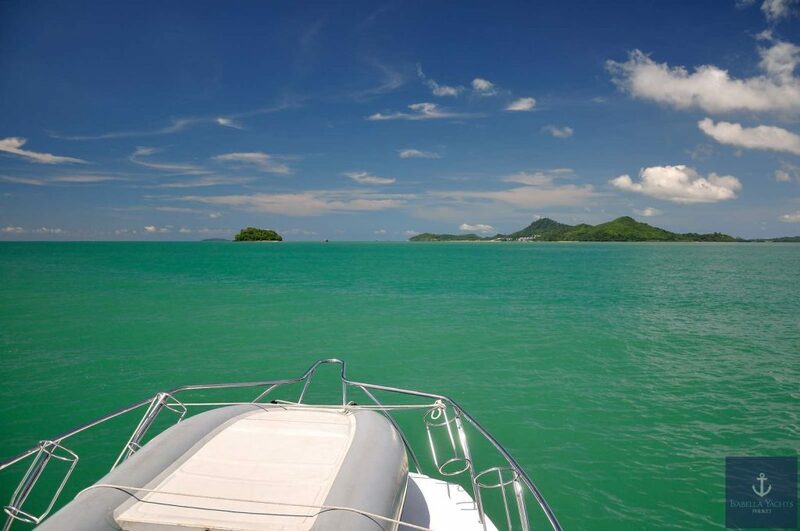 It also provides easy access to the water, which is great for water-sports and getting on and off the tender. 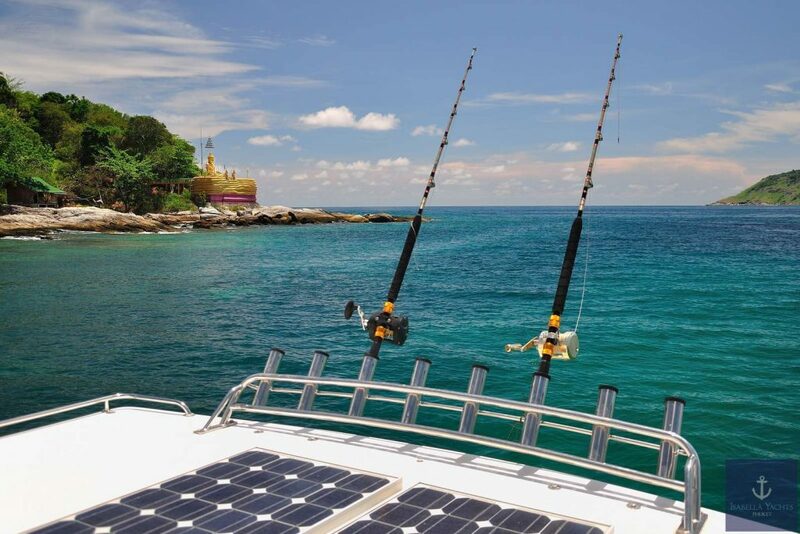 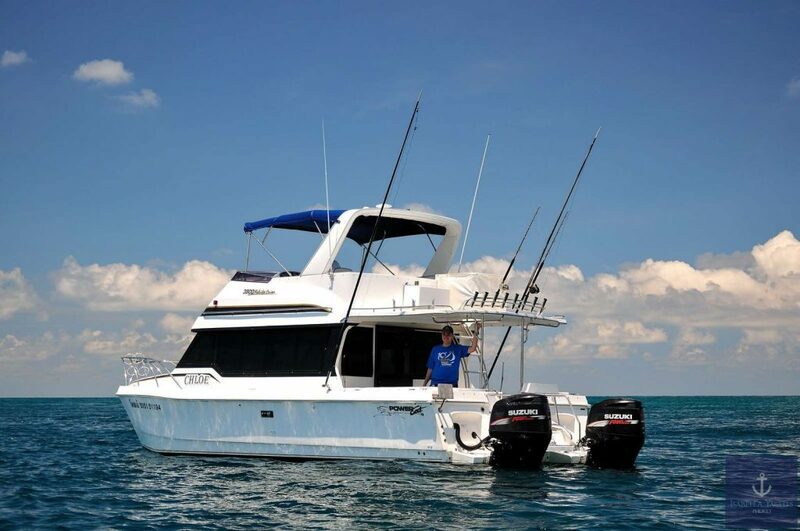 Our 12mt Power Cat is ideal for fishing trips, day trips or weekend cruising. 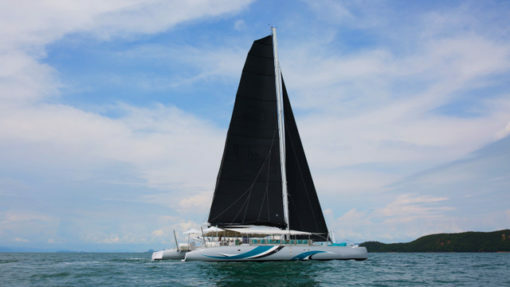 With her multi hull arrangement she will provide you with all of the comfort and stability you would expect from a powered catamaran. 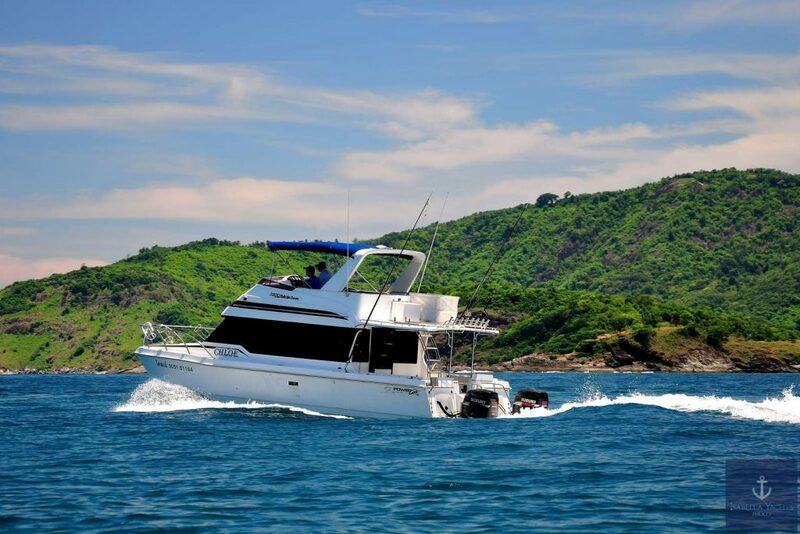 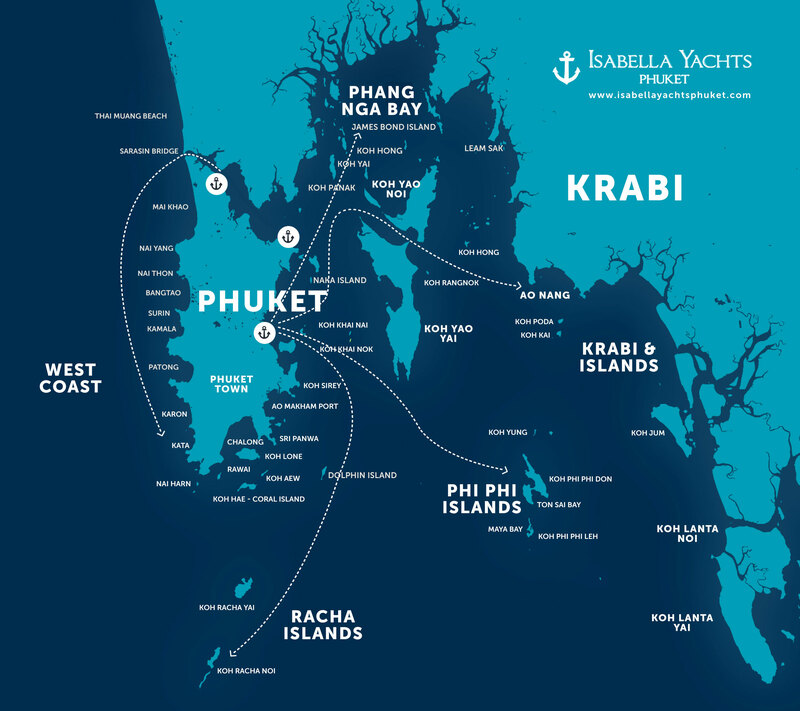 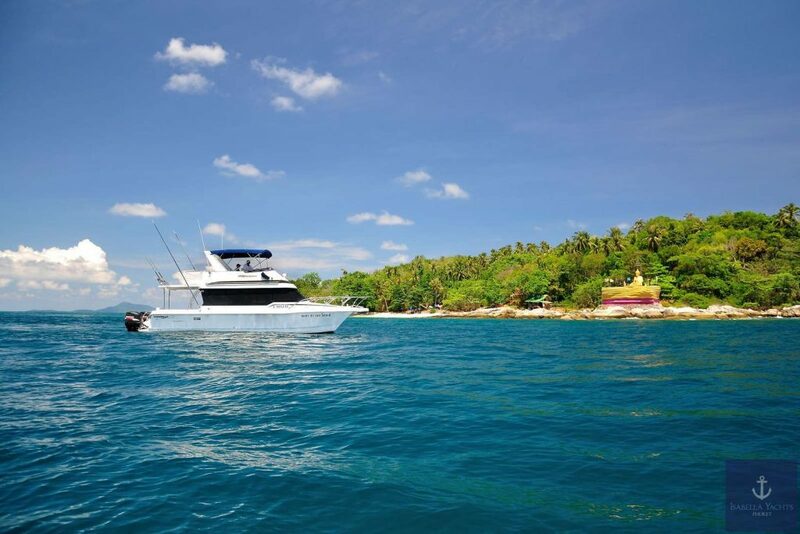 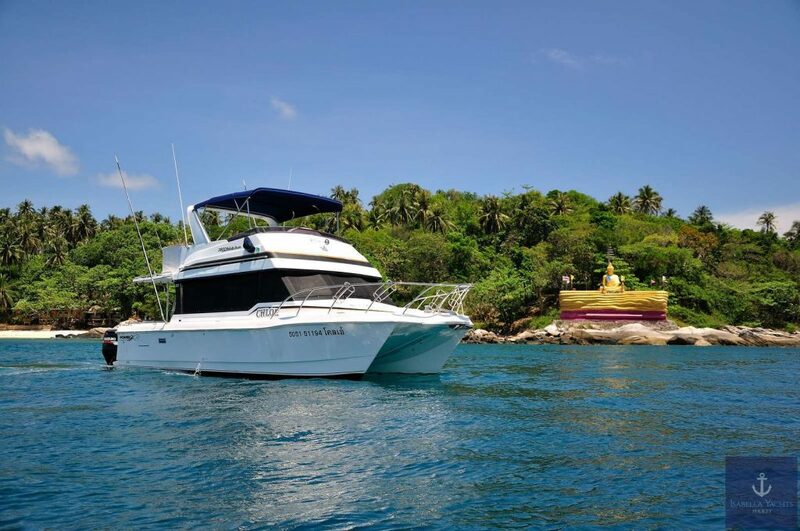 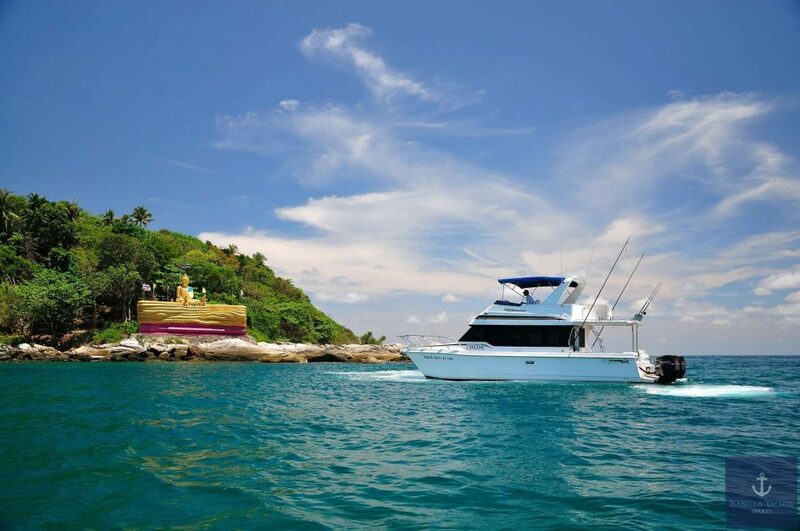 It has a covered flybridge giving plenty of room on the lower aft deck for ocean related activities such as fishing, diving, snorkelling or just relaxing and enjoying the cruise. 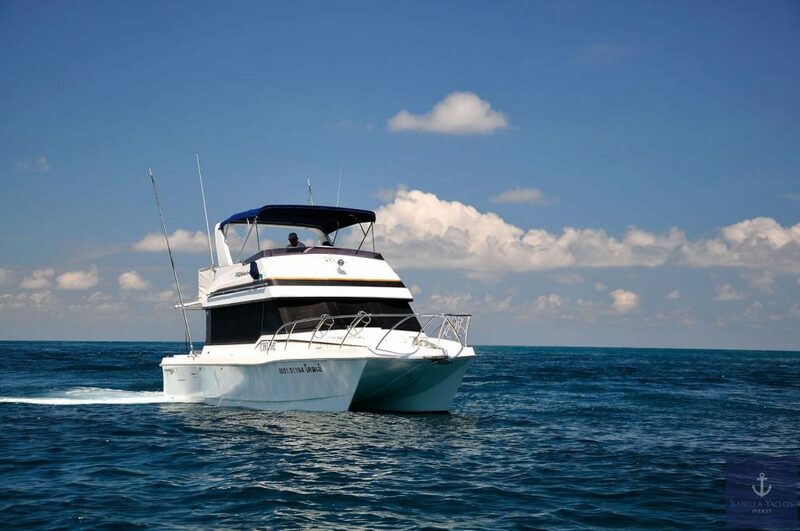 The lower aft deck is shaded giving you shelter from the tropical sun. 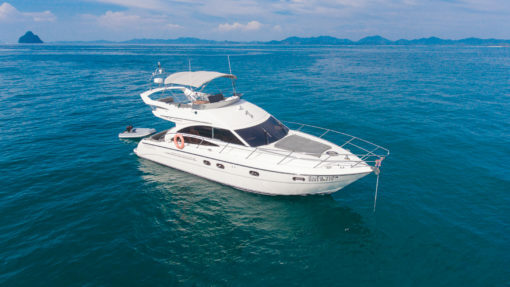 She is fully air-conditioned, with a galley, 2 double berths and boasts a large saloon ideal for entertaining.